Take advantage of an instant loan, which can be used for productive and/or providential purpose(s). 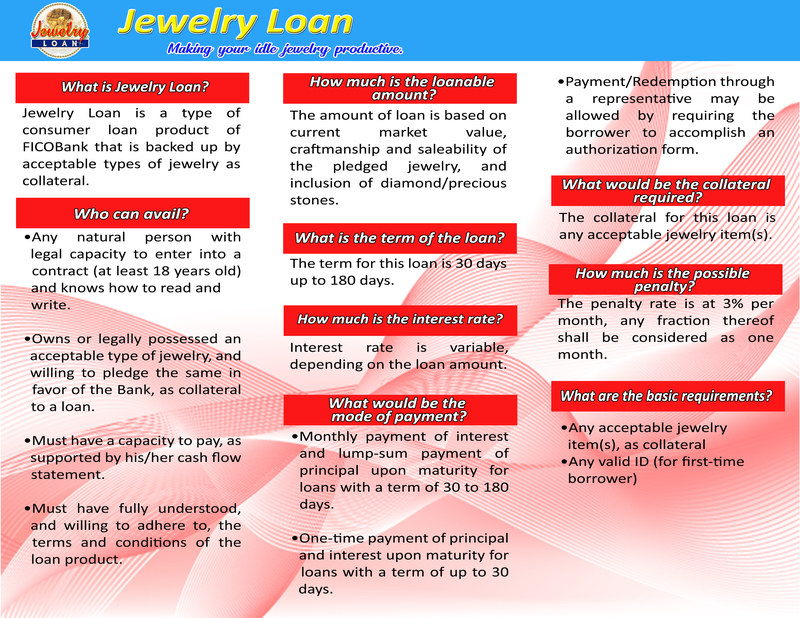 FICOBank’s Jewelry Loan offers the fastest means of granting credit that is solely backed up by acceptable types of jewelry. Take a loan on the spot out of your idle jewelry. Let it shine in times of need.